Maitake (Grifola frondrosa) is a type of medicinal mushroom native to northeastern Japan. Also known as "hen of the woods," this feathered, frilly mushroom is often consumed as a food and the extract is available in dietary supplement form. Maitake mushrooms are said to offer a wide range of health benefits. A key component in maitake mushrooms is beta-glucan, a type of polysaccharide, a long molecule of carbohydrates found to affect the immune system. Maitake is often said to boost immune function and, in turn, fight certain infections. Maitake is also touted as a natural remedy for diabetes, high blood pressure, and high cholesterol. It's even being researched as a potential cancer-fighter. 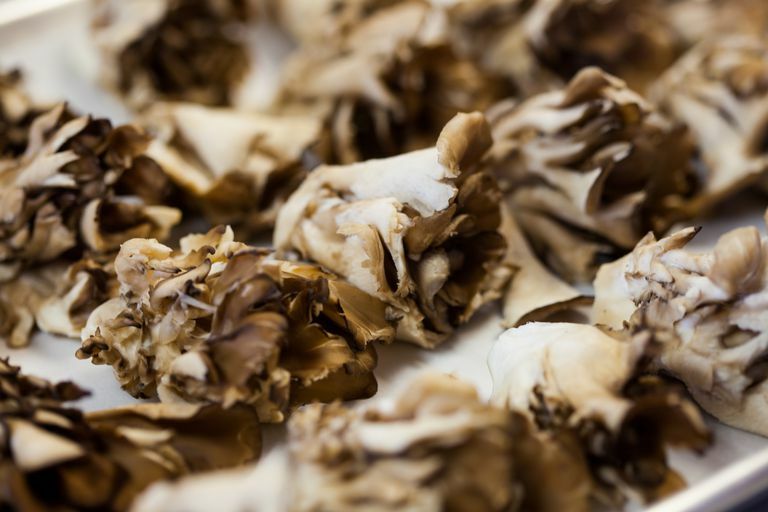 In laboratory research, scientists have found that maitake extracts may slow the growth of certain tumors. By spurring activity in immune cells (such as natural killer cells and T-cells), maitake is thought to help inhibit the growth of cancer cells. A component of beta-glucan known as the D-fraction has been found to have anti-tumor activity. However, researchers have yet to demonstrate that maitake offers any cancer-fighting benefits in controlled clinical trials. Some animal studies suggest that maitake may reduce blood glucose levels. In a study published in 2015, for example, maitake was found to reduce glucose levels in rats. Another preliminary animal study found that maitake mushroom extract improved insulin resistance. A health condition known to raise your risk of type 2 diabetes (as well as heart disease), insulin resistance occurs when the body fails to respond properly to insulin (a hormone that plays a key role in using blood sugar for energy). Maitake may help lower blood pressure, according to animal-based research. For instance, a 2010 study on rats found that maitake helped protect against high blood pressure (in addition to enhancing insulin sensitivity and curbing some aspects of inflammation). A preliminary study shows promise for women with PCOS. In the study, 80 patients took either took clomiphene citrate or three tablets of a specific combination product containing maitake mushroom powder three times daily for three cycles. The researchers found that the mushroom treatment can improve ovulation cycle rates, but does not appear to be as effective as clomiphene in women with PCOS. However, there is potential for the treatment to be used when traditional treatments fail. Due to a lack of research, little is known about the side effects or safety of regular or long-term use of maitake mushroom extract. However, there's some evidence that maitake mushroom supplements may interact with certain medicines (such as blood-sugar-lowering medications and blood-thinning drugs like warfarin). Avoid taking maitake supplements within two weeks of scheduled surgery. There is not enough scientific data to provide a recommended dose of maitake mushroom extract. The appropriate dose for you may depend on factors including your age, gender, and medical history. Speak to your healthcare provider to get personalized advice. Maitake mushrooms are flavorful, extremely versatile mushrooms that can be roasted, sautéed, pickled or added to soups and other dishes. If you're considering the use of maitake supplements or extracts, however, make sure to consult your physician before starting your supplement regimen. Given the lack of clinical trials on maitake's benefits, supplements made from these mushrooms cannot currently be recommended for the treatment or prevention of any health condition. If you choose to purchase a supplement, the National Institutes of Health (NIH) recommends that you look for a Supplement Facts label on the product that you buy. This label will contain vital information including the amount of active ingredients per serving, and other added ingredients (like fillers, binders, and flavorings). Preuss HG, Echard B, Bagchi D, Perricone NV. Maitake mushroom extracts ameliorate progressive hypertension and other chronic metabolic perturbations in aging female rats. International Journal of Medical Sciences. 2010 Jun 7;7(4):169-80. Ulbricht C, Weissner W, Basch E, Giese N, Hammerness P, Rusie-Seamon E, Varghese M, Woods J. Maitake mushroom (Grifola frondosa): systematic review by the natural standard research collaboration. J Soc Integr Oncol. 2009 Spring;7(2):66-72. Chen Y-H, Lee C-H, Hsu T-H, Lo H-C. Submerged-Culture Mycelia and Broth of the Maitake Medicinal Mushroom Grifola frondosa (Higher Basidiomycetes) Alleviate Type 2 Diabetes-Induced Alterations in Immunocytic Function. International Journal of Medicinal Mushrooms. 2015;17(6):541-556. Xiao C, Wu Q, Xie Y, Zhang J, Tan J. Hypoglycemic effects of Grifola frondosa (Maitake) polysaccharides F2 and F3 through improvement of insulin resistance in diabetic rats. Food & Function. 2015;6(11):3567-3575.